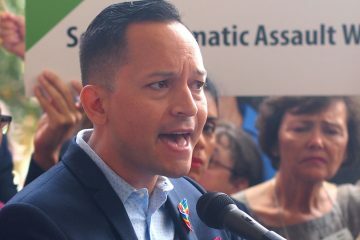 A bus tour slamming Republican’s health care positions pulled into Orlando Monday afternoon to hype up a crowd gathered in Lake Eola Park in opposition to the GOP’s efforts to strip pre-existing coverage protections from the Affordable Care Act. 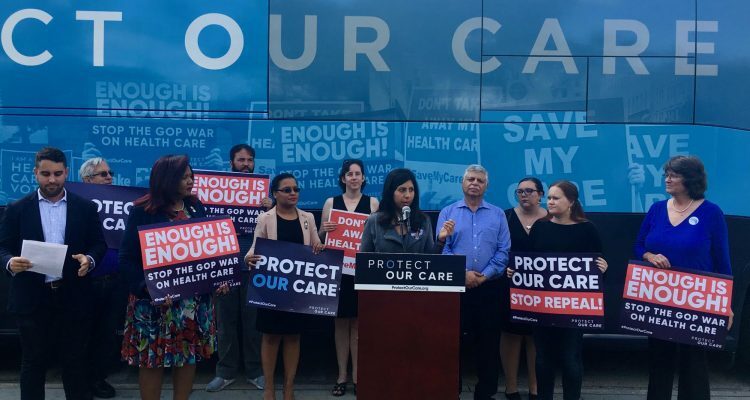 When it rolled into Orlando, the “Care Force One” bus tour brought in local reinforcements by way of Democratic Rep. Amy Mercado and Anna Eskamani, the Democrat who hopes to replace exiting state Rep. Mike Miller in Orange County’s House District 47. 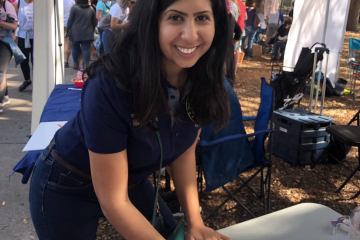 Eskamani reiterated the attacks on the Republican-controlled Florida Legislature and Scott, who is challenging incumbent Democratic Sen. Bill Nelson for his seat in the general election, saying neither are working with Democrats to deliver cost savings to Floridians. 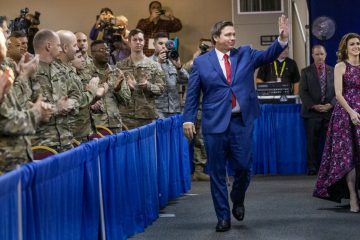 Orlando was the second of five Florida stops for the “Care Force One” bus tour, an 11,000-plus mile journey with 49 stops across 24 stats. 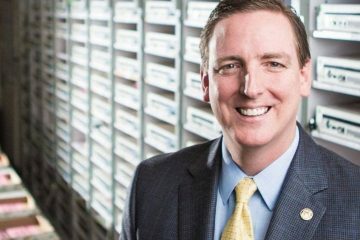 The tour will visit Sarasota and Miami on next on Wednesday, followed by a stop in St. Lucie on Thursday and its terminus in West Palm on Friday.